In 1902, Mrs. W.H. Ferris and Louise F. Dodge founded the Tampa Friday Morning Musicale. The group met every other week on Friday mornings. 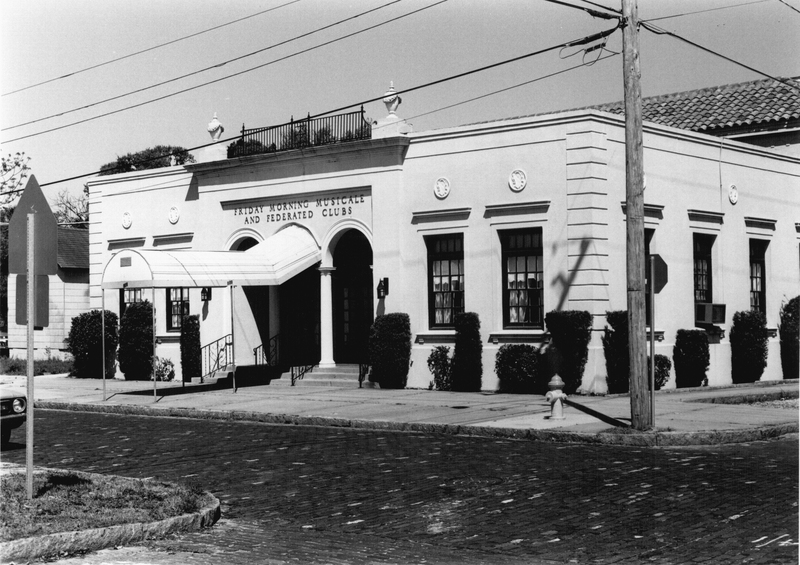 The Tampa Musicale became affiliated with the Federation of Women’s Clubs in April 1921. Soon after the alliance, Mrs. Frank Jackson donated the site on De Leon Avenue, and prominent Tampa architect Frank Durham was retained to design the current building in the Mediterranean period-inspired asymmetrical Mission style . The building has a 385-seat theater and two meeting rooms. The building was dedicated in 1926 and has been in use since it opened in 1927. 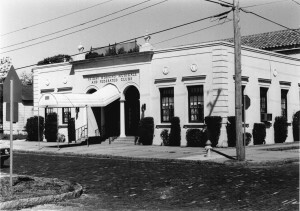 The new space became the first home of the Tampa Little Theater, launched Tampa’s first opera company, and the in-house orchestra became the forerunner of the present-day Florida Orchestra.